Just taken YAK 52 G-IMIC apart for shipping to New Zealand where the new owner, Rob Mackley, will assemble and enjoy in the Auckland area, North Island. 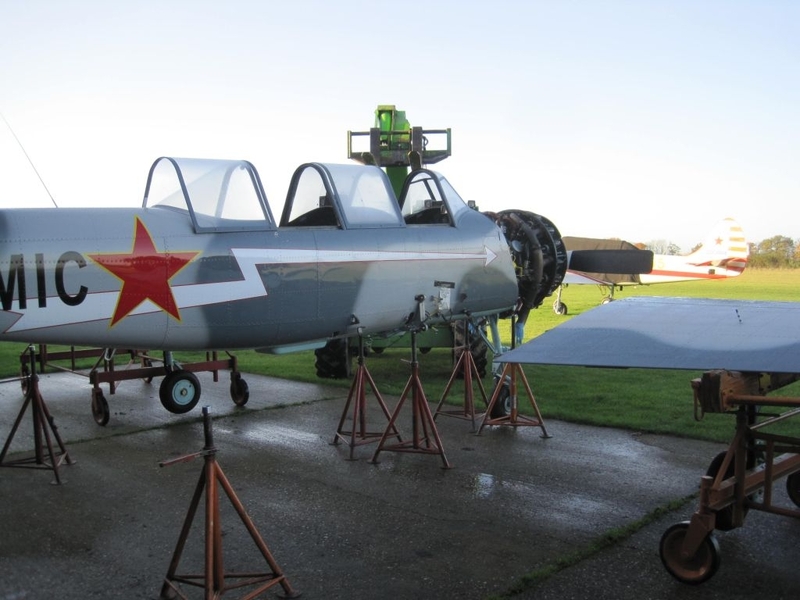 We’ve got a couple of other 52s for sale: a 1991 YAK-52 with life extension carried out, original colour paint scheme with CAA exemption not to carry registration marks, 59/50 & 107 complied with along with all other directives. Just over 600 hours TTSN… And a 1998 YAK 52 with 507 hours TTSN long range fuel, fixed wing step… give me a call if these sound like what you’re looking for. These are lovely ‘war bird’ aircraft to own and fly, rugged and great fun… easy to fly and land. The Yakovlev Yak-52 – a Soviet trainer which first flew in 1976. The Yak 52 was an aerobatic trainer for the DOSAAF training organisation. It has inverted fuel and oil systems allowing inverted flight for up to 2 minutes – its responsive and good in aerobatics – stressed to +7 and –5 G, rolls right at 180 degrees/second. The Global Stars used YAK 52 and YAK 50 aircraft in their flying displays in Korea in May earlier this year.